18/10/2013 According to the CFLRI, "The review draws on a mix of background papers, submissions, analysis and other research, and aims to raise public awareness of retirement income policy issues." 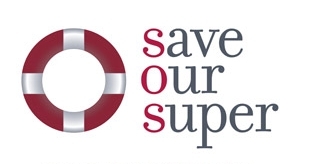 While any alterations to NZ Super will affect millions of people over time, all proposals call for slow and gradual changes over the next 50 year period. Some of the major proposals include raising the age of eligibility over time, re-indexing NZ Super, and using savings to pay benefits for people unable to work. There is a growing discrepancy between taxation and government income and the price of NZ Super. Various attempts have been made to estimate the size of this gap and propose different ways to top-up NZ Super for future generations. Increased private savings and increased income from working longer are two obvious solutions, along with improved targeting of retirement income to areas of greater need. The CFLRI recommend a staged extension to the age of NZ Super eligibility, in a plan that would save billions of dollars and make NZ Super much more sustainable. The proposals include raising the eligible retirement age to 66 by 2036, 67 by 2046, and 68 by 2056. This timeline would give everyone adequate time to prepare for the changes and enable the government to budget for the ageing population. According to the CFLRI, re-indexing NZ Super would save even more than lifting the age of eligibility. By making changes to how benefits are pegged to the consumer price index (CPI) and average wages, NZ Super could be made much more affordable over time. Other key recommendations include establishing an annuities market, reducing tax on savings, improving financial literacy, and building more affordable homes for older people. While not addressed directly in the CFLRI report, huge savings could also be made through income test measure on NZ Super beneficiaries. According to the latest income figures from Statistics NZ, more than 80,000 New Zealanders over the age of 65 receive wages, salaries and investment returns of more than $6.5 billion a year while claiming NZ Super. While it is admirable that we look after our elderly so well, the apparent injustice of benefits for the older rich while cracking down on the younger poor is addressed in a recent Nzherald article by Bernard Hickey. Despite the latest NZ Super recommendations coming from an official advisor, the government are not ready to take on any of these proposals. However, with superannuation projected at 8 percent of GDP and net government debt set to blow out to almost 200 percent by 2060 if the current NZ Super system is left in place with no other changes to taxation and spending, it is clear that something will have to give in the years ahead.